"Sorting" is a mounted equestrian sport in which riders separate numbered cattle from a small herd and drive them, in numerical order, from one pen into an adjacent pen. 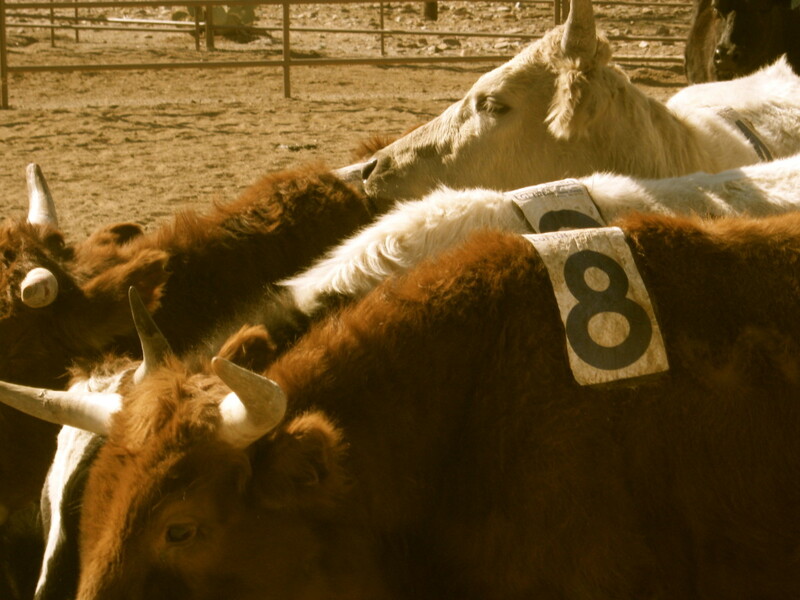 For team sorting events, there are ten numbered cattle (0 - 9) and one or two un-numbered cattle (referred to as "trash") in the pen. The number is called at random to the riders as the first riders enter the pen holding the herd. 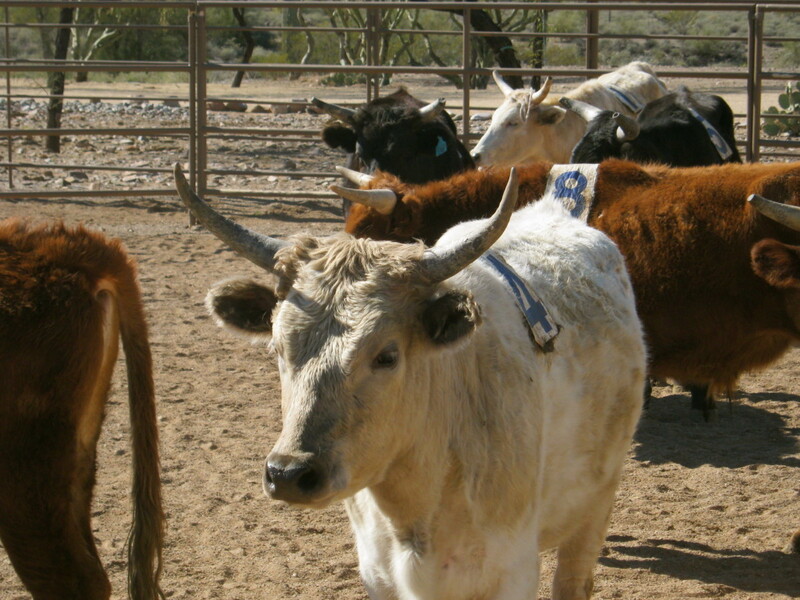 The team has one minute to sort the cattle, and they're disqualified if cattle enter the pen out of sequence -- or if the sorted cattle return back to the starting pen. "Single person" sorting is done, as the name implies, by one rider. (Married people ARE permitted to participate in "single" sorting!) 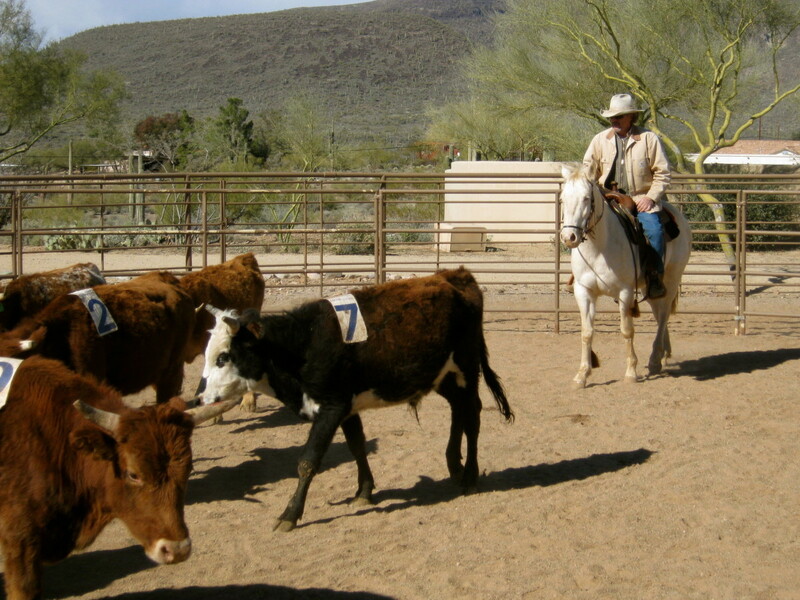 The pens are smaller; there will only be five numbered cattle; and the rider has only half a minute to complete the sort. That presents unique challenges, not only due to the smaller pens and shortened time allowed -- but primarily because there is no partner to guard the "hole" (the opening between the pens) to prevent unwanted cattle from coming in (or back out). This is a very brief description that in no way fully defines sorting. The intent of this particular article is to help you successfully introduce your future sorting or penning horse to cattle for the first time. Additional articles will follow with more detailed information about strategies for sorting success. At minimum, your horse should be physically capable of participating -- sound, fit, and pain free. 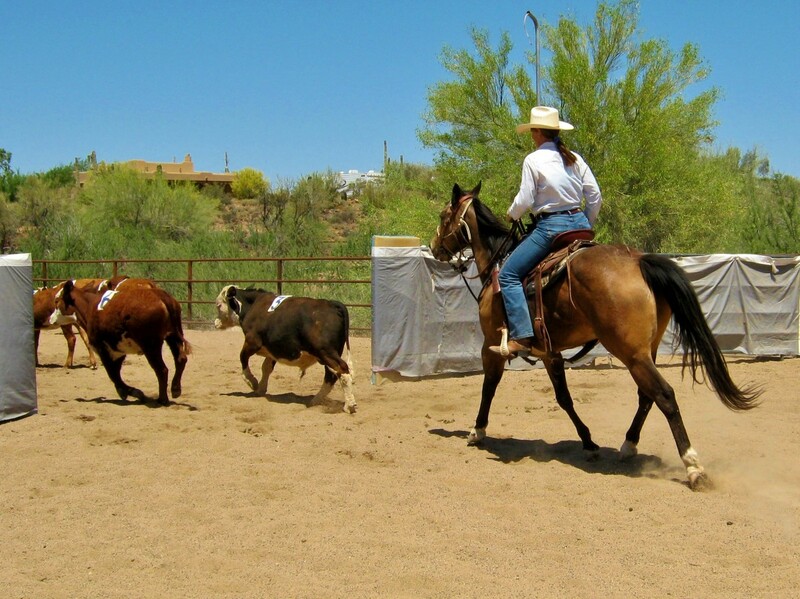 He should have enough training under saddle to be safe for you to begin his training on cattle. He doesn't need to be a "finished" horse, but should be able to pivot well on his hindquarters, stop, back, and move forward quickly. You should be working well enough together that you'll be able to keep your seat if he moves quickly laterally or forward. Put safety first. You can, however, move at your own pace -- if you have a willing partner, there's no reason you can't sort at a walk and still enjoy it! Again, it is all determined by your own personal goals and expectations. Although a very spooky horse or one with severe behavioral issues will present special challenges, sorting may be a positive exercise for them if you proceed slowly and keep those issues in mind. Assess your confidence level with your horse: are you able to ride out the spook if he gets startled? If he bucks when he gets excited, can you keep your seat? If you're comfortable on your horse, consider introducing him to sorting. If you keep the training win-win for your horse, and you focus on his training as much or more than your focus on how many cows you sort, it will most likely improve his behavioral issues. You can sort in practice sessions with the tack of your choice, depending on the rules of the facility where you practice. Here are some suggestions. 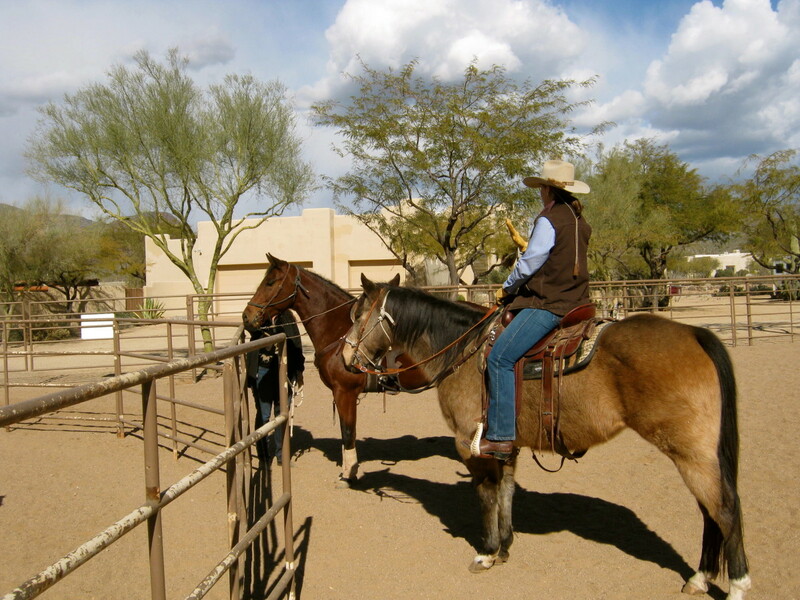 You'll want a western saddle for stability and to allow your horse's shoulders to move freely. A full-rig saddle with forward stirrups is recommended. Cutting saddles are an excellent choice. Reining saddles, though, will put you too far back in the seat. If you don't have the ideal tack, don't let it discourage you from starting to sort -- you an acquire what you truly need along the way. 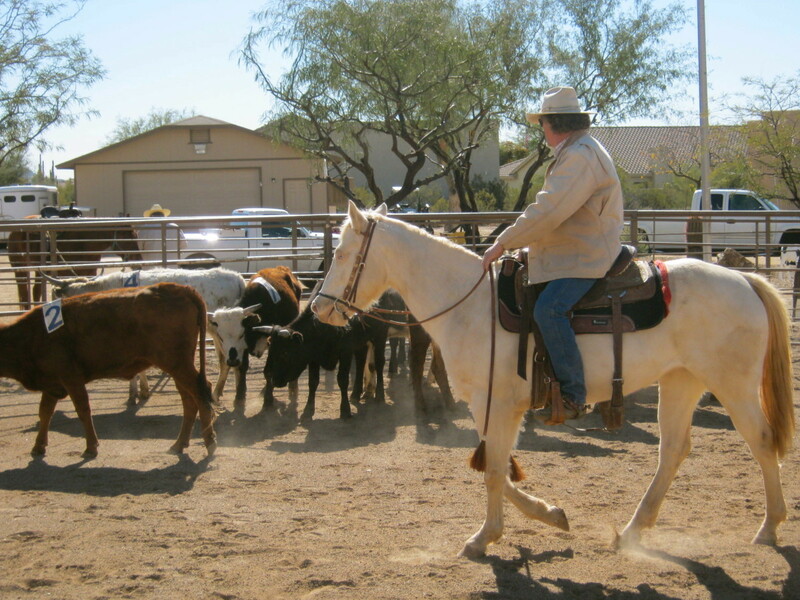 According to Dale Darnold, a horse trainer based in Cave Creek, Arizona, who specializes in teaching horses and riders to sort, "less is more," when it comes to choosing your gear. Dale prefers to ride with no breast collar, no tie down, and no extra accessories getting in the way. Dale recommends "less interference, less distraction," when it comes to tack. When starting your horse on cattle, use a snaffle bit (this means a bit with no shanks and a "broken" mouthpiece that operates on direct pressure rather than leverage). Protect your horse's legs and feet as appropriate. Dale says, "Overreach and leg protection is probably a good insurance policy." Prior to your first session on cattle, your horse should have a few tools in his training toolbox. First, he should know how to distribute his weight to his hindquarters. "In cow work, you're always on the back end," Darnold stresses. "He should be light on the front end and soft on the mouth." Make sure he's responsive to your leg. "Your horse should know more leg than rein," Dale says. In addition, he should understand how to collect. If not, he'll toss his head up and hollow his back. Dale describes the properly collected cow horse as "having a good top-line." This means he'll have a rounded appearance. Your horse will be required to back up often when sorting, especially when he's guarding the hole. Invariably, a cow will try to sneak behind him. "Back ups are more important than stops," Darnold points out. If you have the opportunity to school your horse using a "Pro-Cutter" device prior to putting him on live cattle, do so. In it's simplest form, a Pro-Cutter is an artificial calf suspended from a wire across one end of an arena or pen. By remote control, it is made to work its way back and forth along the wire. According to Darnold, the Pro-Cutter is a far better way to teach the horse to track a cow and work on his hindquarters than starting him on the real thing. It builds the horse's confidence and lets him begin to appreciate the fun of chasing something. Even if you're unable to invest in a Pro-Cutter of your own, you may be able to find a local trainer who provides lessons or training on the device, much as Dale does for his clients. Introduce Your Horse on Foot. 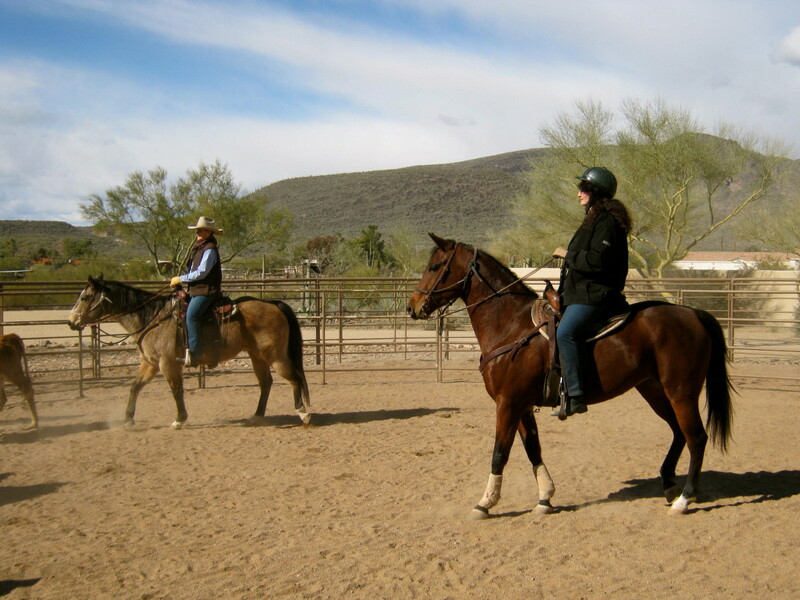 In training our horses, we're always having to minimize their fears and build their confidence. 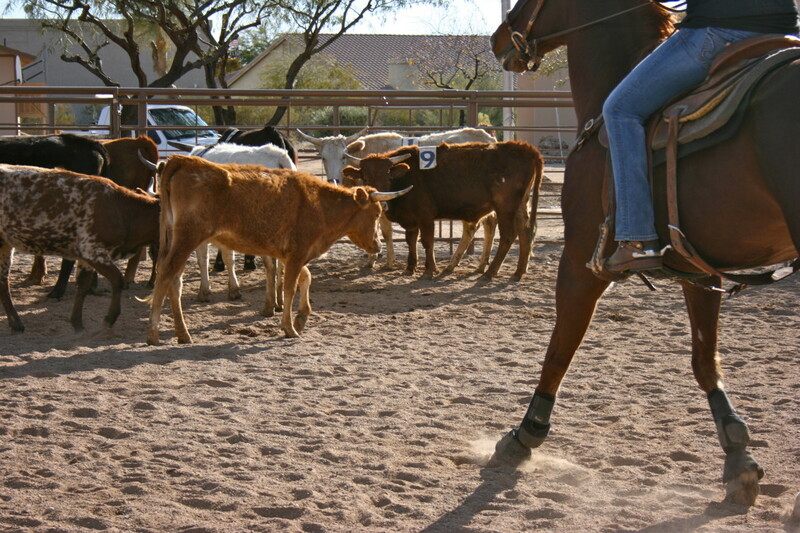 In cattle work, the best way to do this is to introduce your horse to the cattle on foot. Let them watch the penned cattle for a while. Invariably, at most sorting practices you'll see young horses tied to the arena fence, watching. By the time they're actually exposed to the cattle, the fear is already set aside. After you've let your horse see and smell the fearsome beasts, you're ready to walk him into the pen. Dale recommends a 120-foot round pen with no more than five cattle in it. The cattle should be "docile but respectful," he says. Remember, you're interested in building your horse's confidence here. Know how to read your horse; know how far you can go with him, and don't overload him. A good sorting horse enjoys his work, and finds it fun and playful -- terrorizing him or forcing him when he isn't ready will guarantee he'll never find that joyful desire to chase cows. Keep safety uppermost in your mind. As you enter the pen, maintain your personal space. Lead your horse toward the herd slowly and pay attention to his eyes and ears -- you want to keep him interested but at ease. Dale suggests watching for the horse to drop his head; when he does that, he's usually pretty comfortable. Always keep the cattle in front of the horse. You don't want to have them come up behind him until he's well used to them; we all know how a horse will respond when they feel pursued by something scary -- bolting. Keep his nose pointed at the cattle and encourage them to move along. As they start to move, follow at a safe and comfortable distance. Depending on the cattle, this distance will vary; some will move quickly as you approach, while the gentler animals will let you get quite close, and will need more hazing to move along. Keep the first introduction brief; walk the horse behind the herd for no more than five or ten minutes initially. After your horse has demonstrated a safe approach and comfort level with the cattle, you're ready to tack up and ride him in with them. The same rules apply to his first time on cattle under saddle as they did underfoot: don't let the cattle get behind him; keep his nose pointed at the herd; and don't overtax his mind or body. 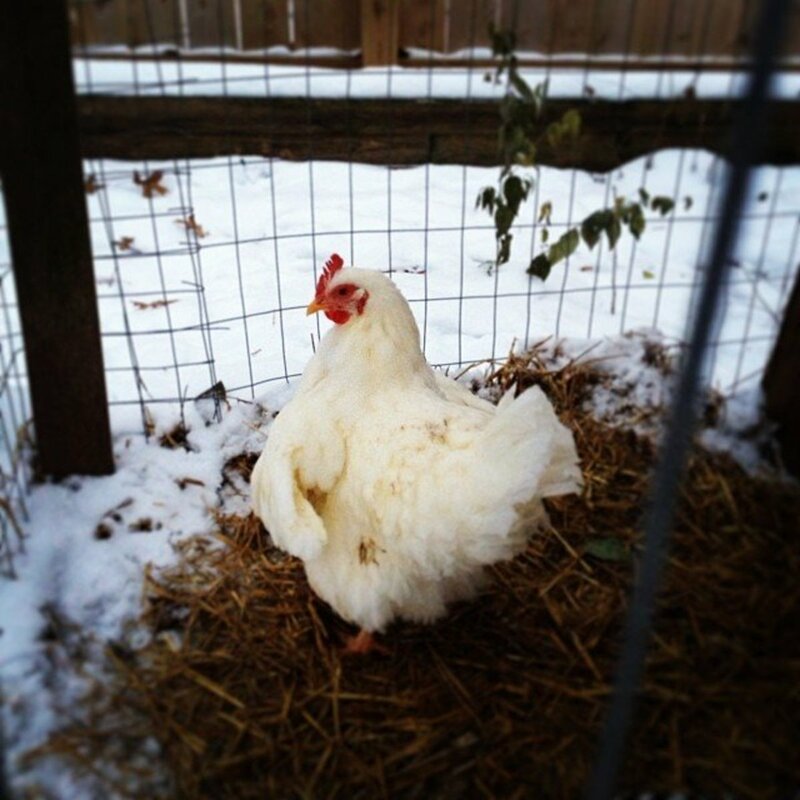 Dale recommends that the first time you ride him in, just let him settle the herd. This means approaching slowly and pushing the cattle together into a bunch rather than moving them aggressively in one direction. Let your horse relax and breathe, and let the cattle do the same. Next, take him in again for only two to three minutes. Now you'll do the same exercise you did on foot: begin to move the cattle slowly and as a bunch. It depends on your horse how many times you'll need to repeat this exercise before moving on to bringing him into the herd, cutting one cow out, and guarding the hole when several cattle are coming toward him. As you move through the steps, make sure he's completely confident with one before working on the next. At first, let him just split the cattle. Bumping him back to focus on just one initially may make him feel as if he's being punished. Let him just move cattle; later you'll work on picking one from the bunch and holding him to it. One of the most intimidating things for your horse will be when several cattle rush toward him. Again, you can condition him to this slowly before the first time he's in the ring with the timer going: have your partner drive the cattle slowly to him (still using no more than five) and let him turn the cattle back. Develop that confidence! Cattle work is mentally exhausting to horses. 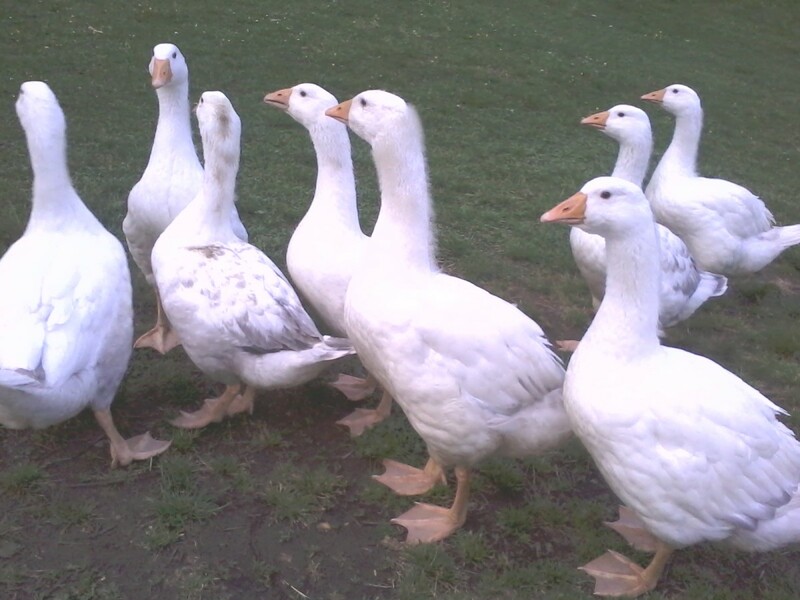 They're in a state of heightened awareness while in the pen; that's hard work. Your first training session shouldn't exceed half an hour. "Thirty minutes on cattle is a long time," Darnold says. If you do too much, too soon, your horse is likely to burn out all too quickly. There's a great old adage which I believe originated from the Pennsylvania-Dutch: "Make haste slowly." As with most aspects of horse training, this certainly is good advice for cattle work. The slower you take it at first, the faster your horse will proceed overall. As you teach your horse the basics of sorting, make sure he is allowed to win. This means that he should not be allowed to be overwhelmed, injured, or made sore. It also means letting him drive the herd and not be driven by it. Let him pick out a cow and pursue it until it has gone from one pen to the other; then relax your reins, praise him, and make sure he understands he just succeeded. Praise is critical to his understanding the concept of sorting. It's more important initially that your horse feel that he won than whether or not YOU and your partner win. If you immediately go in for timed events before he is completely comfortable, you'll be in the position of pulling him off cow after cow and making him feel disinclined to chase them -- he just won't get it. If, however, you take the time to let him stick to one cow, time after time, until he grasps the fun of chasing them, he'll understand. Horses can't read numbers, and they'll be confused at first. Don't let that confusion ruin the game for them. If they make an honest mistake, don't kill them over it. It always breaks my heart to see good, athletic, smart and willing horses being abused by their owners while sorting. Some riders blame the horses for everything that goes wrong -- and they take it out on them by cruelly yanking them backwards as a means of punishment, spurring them repeatedly, and otherwise handling them roughly. I've watched some of the nicest horses turned into basket cases by owners with anger management issues. The most sensitive horses (who are often the best if handled well) sometimes emerge from the practice pen trembling in anticipation of more punishment. It's not long before they suddenly won't work cattle; they lose heart. Remember -- if you put the horse in a state of fear, they can't reason. 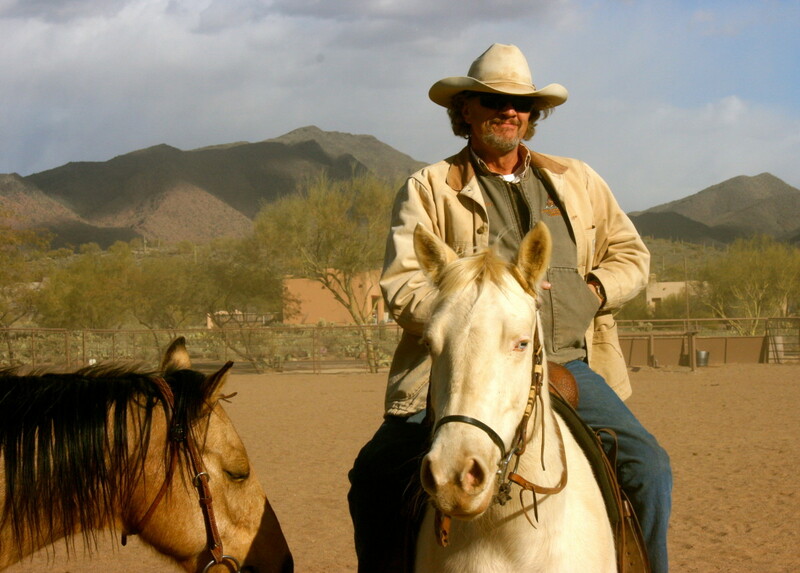 Yanking the reins or spurring continually will definitely put the horse in a place where reasoning is impossible; if that's so, then what do they gain from your "lesson?" Some horses are "cowy" to begin with. Generations of breeding a line of horses to work cattle will result in horses with intuitive understanding of cattle work. Other horses don't come by it naturally, but must learn concepts nature didn't give them. That doesn't mean they won't get it, or that they won't succeed at it -- it just might not be as quick at first. They'll have to learn each step rather than figuring it out on their own. You'll have to break it down into bite-size pieces for them. Now, you're ready to say, "Horse, meet cow!" What's next? Avail yourself of training videos; Youtube is a wonderful resource. Find sorting or penning competitions in your area, and go watch. It's amazing what you can learn by leaning on a fence rail. Reach out to local trainers. Some, like Dale, specialize in sorting and penning. (You can even contact Dale himself by email at Drdarnold@live.com, or visit daledarnold.com.) Dale offers clinics, practice sorting, training and competitions -- you may have trainers in your area who do the same. If you have sorting practices nearby, that's your golden opportunity. At practices, people understand when you're introducing new horses, and you'll likely receive great encouragement. Just don't let anyone push you into doing something with your horse that you don't feel you or he is ready for yet. That's why it's a good idea to work with a trainer or a Pro-Cutter first -- give your horse the basics before you get caught up in the sense of competition. Now get out there and get the cow! Be safe, enjoy, and make sure your equine partner enjoys it, too. Thanks for reading -- and be sure to leave a comment! Copyright (c) 2013 by MJ Miller. All rights reserved. No part of this article may be excerpted without express permission of the author. A link to this article may be freely shared.